In August 2006, Japan-Russia relations were strained when a Russian patrol fired warning shots at a Japanese fishing boat, killing a member of the crew. The boat was near disputed islands—what the Japanese call the Northern Territories and the Russians call the Southern Kuriles. The incident occurred in the 50th anniversary year of the Japan-Soviet Joint Declaration (signed on October 19, 1956, and in effect from December 12 of that year). It was a powerful reminder of a lingering territorial problem, which has been the major obstacle preventing the two countries from signing a post-World War II peace treaty, as well as a continuing source of conflict. The Northern Territories problem is a legacy of World War II in the Pacific, but it is above all a result of the Cold War, when the United States applied pressure to prevent rapprochement between Japan and the USSR. This point has been well documented by specialists such as Wada Haruki and Tsuyoshi Hasegawa. Why, then, does the problem remain unsolved decades after the end of the Cold War? According to Tanaka Sakai, Japanese political elites, particularly those of the Ministry of Foreign Affairs, are behind the impasse. They have persistently advocated an impossible demand—that Russia return all four of a disputed quartet of islands—in order to maintain the stalemate and thereby retain certain decision-making privileges, while also holding true to their pro-U.S. policies. This article by Tanaka contains distinctive arguments about the origins and history of the conflict, which remains subject to widely varying interpretations. Yet two issues that it addresses require further clarification. These are (1) the U.S. position at the 1951 San Francisco Peace Conference, and (2) its interpretation of the 1993 Tokyo Declaration. Regarding the first point, Tanaka asserts that, despite claims to the contrary, the U.S. effectively insisted at the San Francisco Peace Conference that Japan give up the Kurile Islands, including the Habomai and Shikotan islands. The fact is, however, that the U.S. supported the Japanese position that the Habomai islands were not part of the Kuriles. Regarding the second point, Tanaka mentions that the 1993 summit ended with a Joint Declaration similar to that of the 1956 summit. However, the 1993 Declaration differed from the 1956 Declaration, in which the Soviet Union promised to transfer two islands (the Habomais and Shikotan) to Japan; the 1993 Declaration contains no such promise. The 1956 Declaration was confirmed for the first time in the 2001 Irkutsk Statement. These specifics aside, the fact remains that Japanese nationalists, including many in the ruling Liberal Democratic Party, prefer the status quo, leaving Japan with none of the islands and virtually no prospect of recovery of all four islands. It is common wisdom that the “Northern Territories problem” refers to a diplomatic dispute between Japan and Russia (formerly the Soviet Union). When we look at the background to this issue, however, we see that it was actually created by the United States. The U.S. State Department made clear that Japan had the right to appeal to the International Court of Justice, but it made no attempt at the Peace Conference to represent Japan’s position to the Soviet Union. As a result, the Kurile Islands that Japan renounced all claim to in the treaty came to include not only Kunashiri and Etorofu, but also the islands of Habomai and Shikotan. Having proposed to the Soviet Union at the Yalta Conference in 1945 that if it joined the war against Japan the Kurile Islands would be recognized as Soviet territory, at the San Francisco Peace Conference the U.S. leaned towards the Soviet position on the issue of the Northern Territories. The view existed in Japanese political circles that not only Habomai and Shikotan, but also the two “Southern Kurile Islands” of Kunashiri and Etorofu were actually separate from the Kurile Islands referred to in the San Francisco Peace Treaty, and that these should be recognized by the world as Japanese territory. At the time of the Treaty, however, the Japanese government did not assert this position. Instead, in the Diet following the Peace Conference, it confirmed that all claim to Kunashiri and Etorofu had been renounced. So at this point, the Northern Territories problem was limited to the islands of Habomai and Shikotan. It was not until four years later, in 1955, that the definition of the problem changed from two islands to four. At that time, the Soviet Union, in a bid to improve relations with Japan, stated that it would return Habomai and Shikotan if Japan agreed to sign a peace treaty. In July 1956, Japan dispatched a representative to Moscow to commence negotiations towards a peace treaty with the Soviet Union, but the Japanese government changed its stance part-way through the talks, insisting that a peace treaty was only possible if Kunashiri and Etorofu were returned in addition to Habomai and Shikotan. In the absence of an agreement, the negotiations ended with a Joint Declaration in which the Soviet Union reiterated its willingness to return Habomai and Shikotan after the conclusion of a peace treaty. Some argue that Japan changed its position in August 1956, when U.S. Secretary of State John Foster Dulles pressured Japanese Foreign Minister Shigemitsu Mamoru, saying that the U.S. would keep Okinawa if Japan gave up on of its claims to Kunashiri and Etorofu and signed a peace treaty with the Soviet Union. In other words, while in 1951 the U.S. had told Japan to “give up on Habomai and Shikotan,” five years later in 1956 it said, “Don’t accept anything less than the return from the Soviet Union of not only Habomai and Shikotan, but also of Kunashiri and Etorofu.” Had the U.S. stuck to its initial position, Japan would have been satisfied with the return of just the former two islands, and a peace treaty with the Soviet Union probably would have been concluded in 1956. Conversely, if the U.S. had supported Japanese nationalist demands for the return of all four islands from the outset, it is possible that the Soviet Union would have accepted a peace treaty with Japan that included the return of all four islands. By changing the manner in which it applied pressure on Japan in its relations with the Soviet Union, the U.S. succeeded in preventing the conclusion of a Japan-Soviet peace treaty. From the Soviet point of view, just when the USSR had proposed the return of the two islands of Habomai and Shikotan, as Japan had requested, Japan upped the ante to insist on return of all four islands. As far as Moscow was concerned, if the USSR agreed to the return of the four islands, Japan might very well then demand something more on top of that. In this respect, Soviet willingness to return two islands while refusing to return four was quite natural in the context of the flow of negotiations. As though in response to the hardening of the Soviet position, Japan insisted that there be no peace settlement unless all four northern islands were returned. This led to a deadlock. The result has been the return of none of the islands and no peace settlement. All over Hokkaido, signboards and posters call for the return of the Northern Territories, but the truth of the matter is that for the development of Hokkaido, concluding a peace treaty with Russia and strengthening economic ties would be of far greater benefit than the return of the islands. In 1955, around the same time that the U.S. effectively barred Japan from improving relations with the Soviet Union, it ended the Allied occupation of West Germany and welcomed that nation into NATO, thereby heightening tension with the Soviet Union. To match the establishment of NATO, in 1955 the Soviet Union created the military alliance known as the Warsaw Pact with East European nations such as East Germany and Poland, thereby creating an equation in which the Cold War would be extended. If we view the formulation of the Northern Territories problem in the context of global U.S.-Soviet relations, it can be seen as an American move to prolong the Cold War. The commonly accepted theory of the Cold War is that Soviet expansionist ambitions came first, and the U.S. and Britain defended themselves against the Soviet threat. In my opinion, however, it was the U.S. and Britain that sought global conflict, with the Soviet Union assuming a hard-line stance in response to the skillful Anglo-American strategy to create an enemy. In 1955, just a few years after the start of the Cold War, for Japan—a country that had been artfully painted by Anglo-American propaganda as an evil enemy before being reduced to ruin—the risks were all too obvious of going against the will of the U.S. and drawing closer to the Soviet Union, a nation then being vilified. The next favorable opportunity for rapprochement between Japan and Russia came in the 1990s, after the end of the Cold War. The communist Soviet regime had been replaced by the pro-American Yeltsin administration. To prevent Russia from again becoming a threat to the West, aiming to convert it to free-market economics and integrate it into the Western economic framework, at the initiative of the Clinton administration, Russia became a member of the G8 Summit of the world’s industrialized nations in 1997. From the U.S. point of view, it was now desirable that Japan improve its relations with Russia and support the Russian economy. However, the situation of 1956 was repeated in the lead-up to the Japan-Russia summit of 1993. When, at Japan’s suggestion, discussions concerning a peace treaty addressed the Northern Territories problem, Russia stated that only the two islands of Habomai and Shikotan could be returned. Talks broke down when Japan responded that nothing less than the return of all four islands would be acceptable. The summit ended without a peace treaty; instead, a joint declaration (the Tokyo Declaration) similar to that of 1956 was issued. Germany Has Reconciled Matters. Why Not Japan? In 2005 there were Russian moves to resolve the Northern Territories problem and normalize relations with Japan. In the background to this lies the multipolarization of the world. Since the U.S. invasion of Iraq in 2003 and the subsequent stalemate, parallel to the decline of U.S. hegemonic power both in diplomatic and military terms, multipolarization has proceeded with several other major powers such as Russia, Germany and China looking to expand their own reach. In this context, Russia seeks closer relations with other powers such as Germany and China, effectively building a non-American alliance. The construction of an undersea pipeline between Russia and Germany and the resolution of border disputes between Russia and China are specific examples that illustrate this. Last May, Moscow hosted an international gathering to commemorate the 60th anniversary of the end of the Second World War (Germany surrendered in May 1945). The ceremonies were attended by the leaders of the nations that comprised the Second World War Allies, including U.S. President George Bush and almost all the other heads of the G8 nations, as well as Chinese President Hu Jintao. This gathering on the 60th anniversary of the end of World War II also illustrated to the world that former mortal enemies Russia and Germany had achieved a historic reconciliation and a close strategic partnership. And this ceremony of reconciliation between Russia and Germany, based on the emergence of multipolarity, was actually carried out with Bush as a participant. At first, Putin thought that the gathering could serve as a ceremony of reconciliation not only with Germany, but also with Japan, another defeated nation in World War II. Putin’s Russia seeks to fund its national development by selling oil or natural gas to the countries of the West or Asia, so reconciliation with Germany was desirable in terms of expanding sales routes for energy. Around the time that Putin invited Prime Minister Koizumi Junichiro to the commemorative gathering in Moscow, he also tried to restart talks on the Northern Territories issue. Putin in 2004 suggested to the Japanese side that he was keen to hold a summit meeting with Koizumi to discuss the resolution of the Northern Territories issue. Japan’s response, however, was to the effect that Tokyo would not welcome Putin unless he intended to return all four islands to Japan. Even in 1993, when Russian national strength was at a low ebb in the confusion following the collapse of the Soviet Union, Russia showed no sign whatsoever of returning Kunashiri and Etorofu. Now that the country’s economic strength and international influence are recovering, there is no prospect whatsoever of Russia returning all four islands to Japan. The decline of American hegemonic power and the tightness of world energy supplies will probably see Russia continue in the driver’s seat on this issue. This means that the only way Japan could now recover Kunashiri and Etorofu is by seizing and occupying them by force. But, as I pointed out in a previous article, if Japan were to enter into a full-scale war with Russia, while Russia might lose one million people, the death toll for Japan in such a suicidal struggle would be closer to 25 million. In these circumstances, the recovery of Kunashiri and Etorofu is simply not possible. Why then is the Japanese government so insistent on the return of all four islands? Is it that the U.S. is applying the same pressure on Japan as during the Cold War? Surely not. Some people may think that the government’s insistence on the return of all four islands is because that reflects Japanese public opinion, but it’s the other way around. 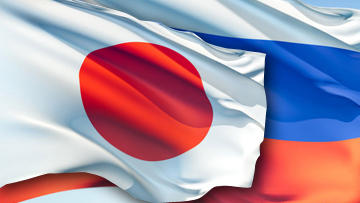 If the government were to explain properly to the people of Japan that there is no hope of ever recovering Kunashiri and Etorofu, and make clear the benefits of normalizing relations with Russia, such as improved access to energy supplies and the economic revitalization of Hokkaido, many more people would be satisfied with the return of just two islands. Because the government has the media insisting that all four islands must be returned, the majority of Japanese simply think that that is the way it has to be. Most of the citizens of any country in the world know little about what is happening in other countries, so opinions on matters of foreign relations are molded by government propaganda. When governments inculcate the belief that “going to war will bring certain victory,” the result is bellicose public opinion. By the same token, a message that “war should be avoided” will foster public opinion that supports diplomatic negotiations. As I see it, the reason why the government of Japan is so fixated on the return of all four islands is that this approach rules out reconciliation with Russia, thereby maintaining Japan’s focus on a close diplomatic relationship with, and strategic dependence on, the United States. In military terms, Japan remains firmly under the American nuclear umbrella, with the Self-Defense Forces functioning for all intents and purposes as though they were part of the U.S. military. Likewise, Japan’s position under the umbrella of American global strategy, with the Ministry of Foreign Affairs (MoFA) functioning as though it were a compartment of the U.S. State Department, is in keeping with postwar Japan’s strategy of reliance on the U.S. U.S. pressure may have forced such dependence upon Japan during the years following World War II, but Japan gradually grew to feel secure and comfortable with the arrangement. One reason why Japan feels safe in its dependence on the United States is that after only 140 years of learning since the Meiji Restoration, the Japanese still struggle to understand international politics and the complex machinations of the Western nations. In particular, following Japan’s crushing defeat in World War II, the government probably harbors concerns that an independent approach to diplomacy may again lead to disasters. Germany, by contrast, has long been involved in the Machiavellian politics of Europe, so when American pressure on it weakened following the end of the Cold War, it sought reconciliation with Russia out of a desire to reestablish its own power position. In contrast, concluding that staying under the U.S. security umbrella was best, Japan chose not to pursue normalization of relations with Russia. At the same time, viewed in terms of the power structure of Japanese politics, postwar dependence on the U.S. is a product of the Japanese bureaucracy’s direct links with America, effectively barring Japanese politicians from foreign policy decisions. Under this system, the politicians have had what by rights is their mandate over foreign policy taken from them by the bureaucrats on the pretext of cooperation with the United States; the bureaucrats’ trump card of “the will of America” wins every time. It goes without saying that politicians with drive and ambition seek to implement their own strategies and policies both on the domestic and diplomatic fronts. However, whenever a politician seeks to take the initiative in diplomacy, he or she is undermined by MoFA. The case of Suzuki Muneo is a prime example. Suzuki advocates “the return of two islands plus alpha” as a solution for the Northern Territories problem. This basically means seeking an agreement in a form that starts with the return of the two islands that Russia has agreed to, but requesting that Russia go a little further than that to satisfy Japan, by returning part of Kunashiri and Etorofu, or granting some additional concessions. This proposal is realistic in terms of resolving the territorial problem, but it has little appeal to those within MoFA and other areas of the Japanese government that favor dependence on the U.S. As a result, the concept of the “two islands plus alpha” has been ignored, and moves to crush Suzuki saw him arrested on charges of corruption in 2002. He has since been released on bail, returning to politics as a member of the House of Representatives in 2005. The first thing Suzuki did on his return to the political arena was to launch a stinging series of questions to MoFA in the Diet. After the Cold War, the line of thought strengthened in Japan that maybe it’s best not to just rely on the U.S. Maybe we should establish closer relations with the likes of Russia and China. But this has been swept away by the U.S. pursuit of unilateral hegemony in the wake of the terrorist attacks of September 11, 2001. When Bush postured that “the world’s strongest nation, America, will use preemptive attacks to destroy all those who oppose us,” Japan’s U.S.-dependent faction loudly proclaimed that the U.S. would crush not only Iraq and North Korea, but also China and Russia. Therefore, Japan should strengthen relations with the U.S. alone and avoid getting too close to China or Russia. In turn, the media assumed a more pro–U.S.-Japan-alliance stance. Japan might also still be smiling if the American occupation of Iraq and sanctions on Iran had succeeded, allowing unilateral hegemony to be perpetuated, but things haven’t quite worked out this way. America’s pursuit of unilateral hegemony has actually eroded U.S. power, a trend that will likely grow in strength. The time will surely come when Japan will no longer be able to continue its strategic dependence on the U.S. Despite the fact that the self-defeating drive to achieve unilateral hegemony by the Bush administration has caused anti-American feeling to spread throughout the world, Japan has stuck to its pro-U.S. stance. Meanwhile, flush with revenue from the sale of oil and gas, the Putin administration has recently decided upon a 20-fold increase in its budget expenditure for airfields, roads and other transport infrastructure in the Northern Territories. Because the promotion of tourism is also on its agenda, Russia invited Japanese photographers to the islands to take photographs to attract Japanese tourists. The plan was derailed, with Japan’s MoFA banning photographers from going to the Northern Territories, but the Russian move indicates that Japan will eventually have to improve its relations with Russia. Dominated by mountains and the sea, Kunashiri and Etorofu have a similar natural environment to that of the Shiretoko Peninsula in Hokkaido. Since Shiretoko, now a World Heritage site, attracts many Japanese during their summer holidays, once the political climate allows, they may also head for Kunashiri and Etorofu in droves. This is a slightly abbreviated translation of an article that appeared at Tanaka News on September 19, 2006. The article follows up on Tanaka’s “Multipolarization and Japan (1),” available on the same site. For a related article, see Kimie Hara, “Cold War Frontiers in the Asia-Pacific: The Troubling Legacy of the San Francisco Treaty” at Japan Focus. A freelance translator living in Christchurch, New Zealand, Mark Ealey has a strong interest in Japanese-Russian relations. Ealey has published six book-length translations: three historical novels by the late Akira Yoshimura and three works of diplomatic history. His latest translation is of a book by Hiroshi Kimura, entitled The Kurillian Knot: A History of Japan-Russia Border Negotiations. Posted at Japan Focus on October 18, 2006.